Effortlessly visualize and explore your data with Yellowfin's advanced data visualization and Data Discovery capabilities. Just connect to any of your favorite data sources and start uncovering patterns, identifying trends and discovering insights – no coding required. Bring your data to life with beautiful, interactive visualizations. Understand your business from all perspectives with over 50 chart types – from trellis charts to GIS maps and infographics. 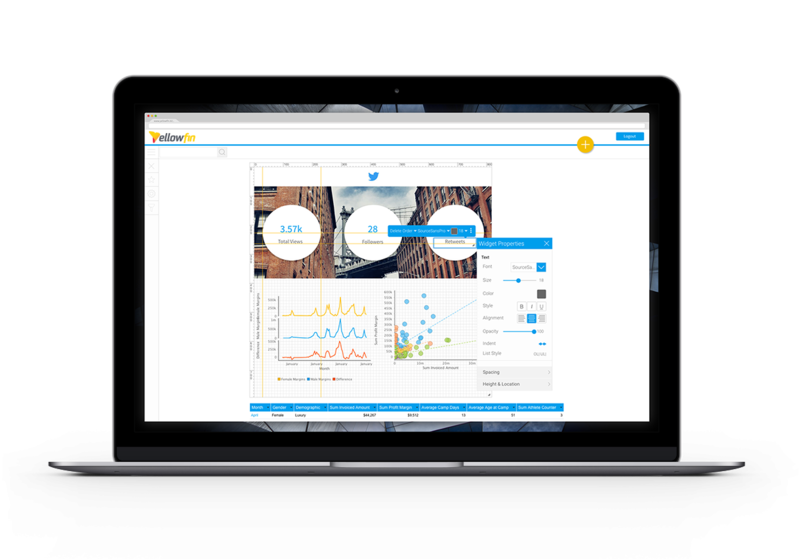 With Yellowfin, the perfect visualization is just a click away. Discover the insights needed to make better decisions today. Yellowfin's award winning Location Intelligence capabilities help put your business on the map. 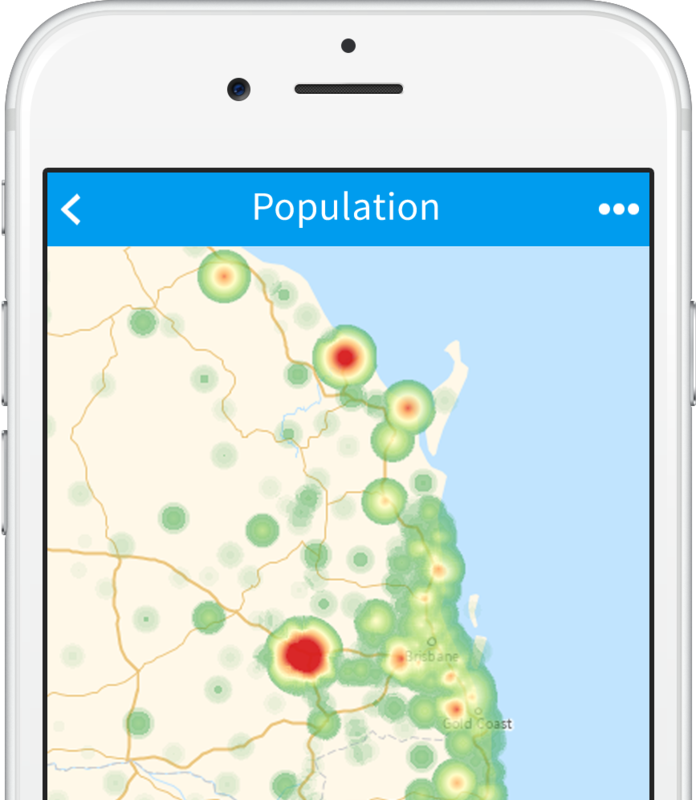 Effortlessly merge your spatial and traditional business data to discover your next big business opportunity. Don’t have the spatial data? We’ll provide it for you with Yellowfin GeoPacks, enabling you to uncover fresh insights and gain a deeper understanding of your business. 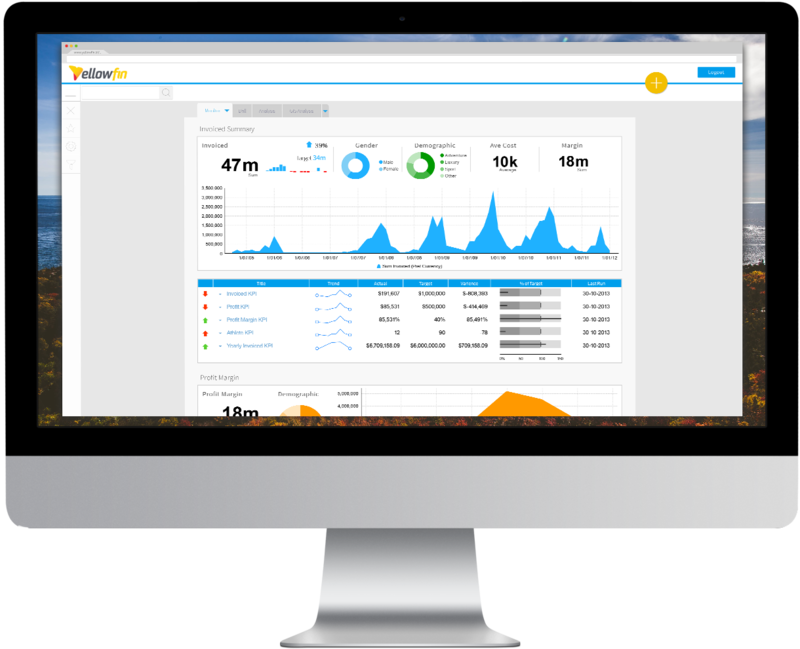 Explore all your data and discover valuable insights with Yellowfin. Deliver customized, immersive analytics that makes BI accessible to more people and boost user adoption. Together, Yellowfin’s new Content Creation Canvas, DashXML framework and host of rebranding options deliver you the best modern BI platform for building analytical applications and creating customized analytic content. Yellowfin does more than just help you see patterns and spot outliers. 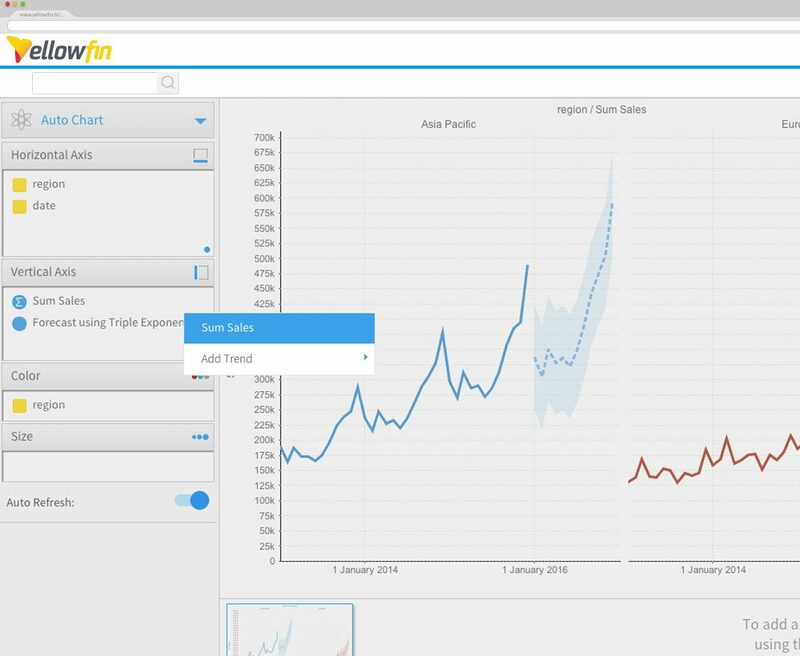 Easily highlight trends and project forecasts in a few clicks. Understand where your business is heading with Yellowfin's intuitive predictive analytics, set analysis and other advanced analytical capabilities.